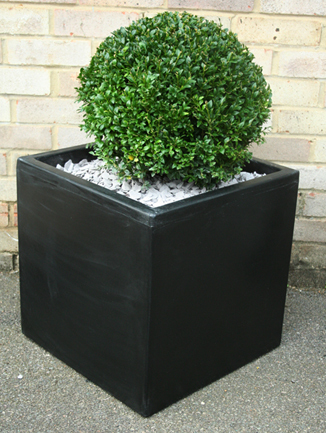 This garden planter is an eyecatching cube design, and its classic shape will suit any garden. It is an elegant and stylish way to present topiary trees. All of our garden planters are manufactured in our UK factory from a tough plastic, which is weather and impact resistant and would look great as pair.